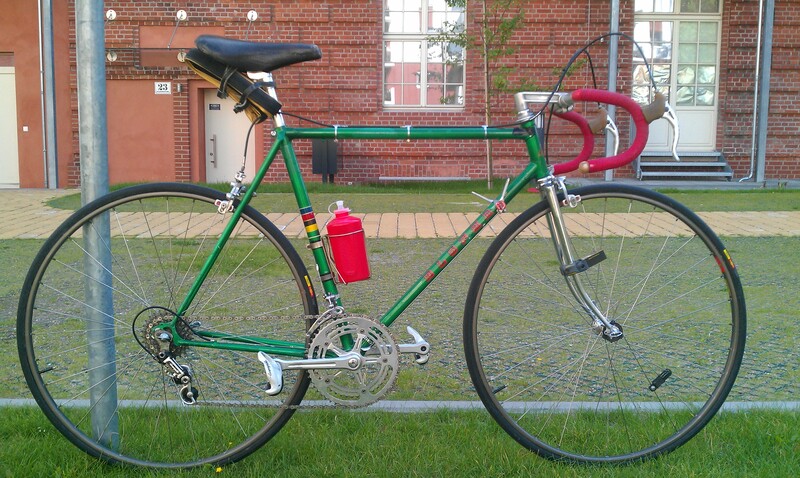 The lack of good or modern road bike frames in the former GDR was remedied by some workshops in East Germany. The best known where Börngen in Limbach, Niemann in Zerbst and Elsner in Zeuthen / Berlin. The workshops made everything what the customer wanted,if they were able to pay or they had the special (Western) parts they need for customization. Usually the wheelbase were shortened (sometimes as short as 99cm! ), the forks were straightened (sometimes they used track bike forks), frame sizes were increased, drop outs were changed, also cables were routed internally. Not the sort of work to be taken on by anyone other than a skilled craftsman. All modified frames got a new paint job and decals. The quality of (nearly) all Elsner paint jobs are really poor. Niemann and especially Börngen made a much better job. Also this frame lost some of the “original” green colour, the last owner “repaired” the parts with a lighter green colour … but that belongs to the history of the bike. 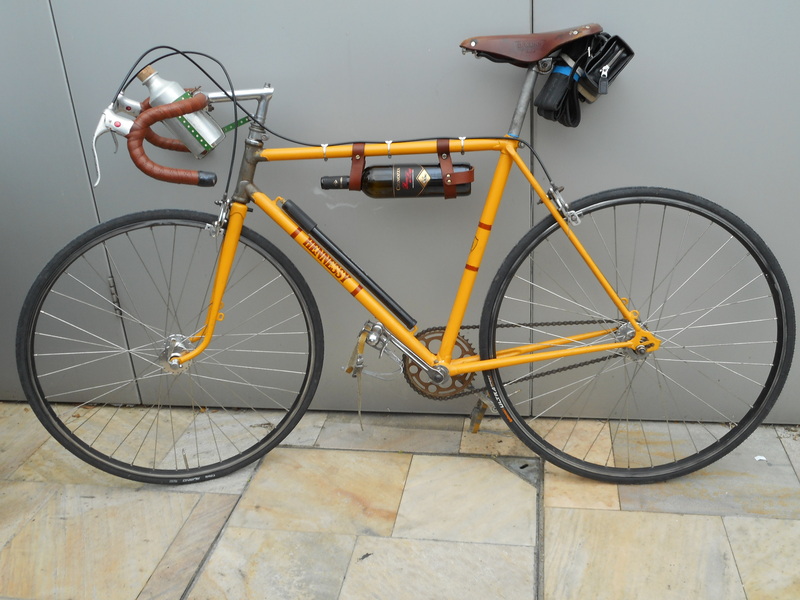 This bike is a nice proof, how the riders in East Germany tried to improvise and how they found ways to ride on more or less modern material. Without a good network or relations to West-Germany were no chance to get some good parts. Even tubular were repaired after punctures, new tires were like “gold dust”. 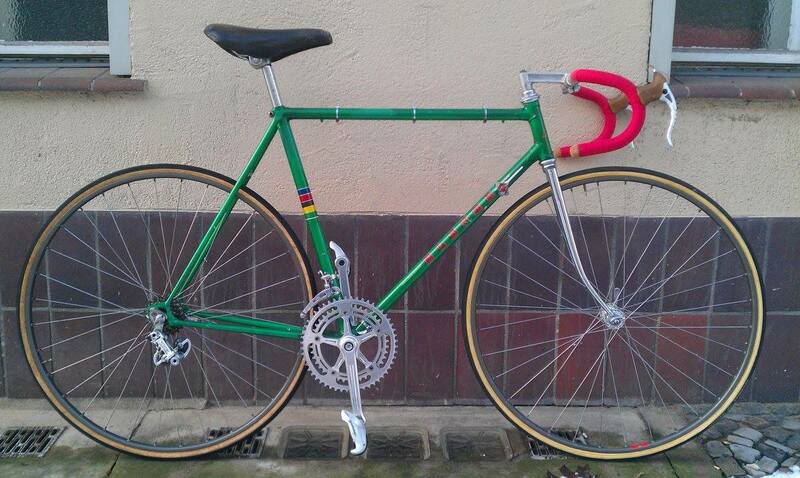 The equipment with Campagnolo parts is not original, but well known from similar bikes. 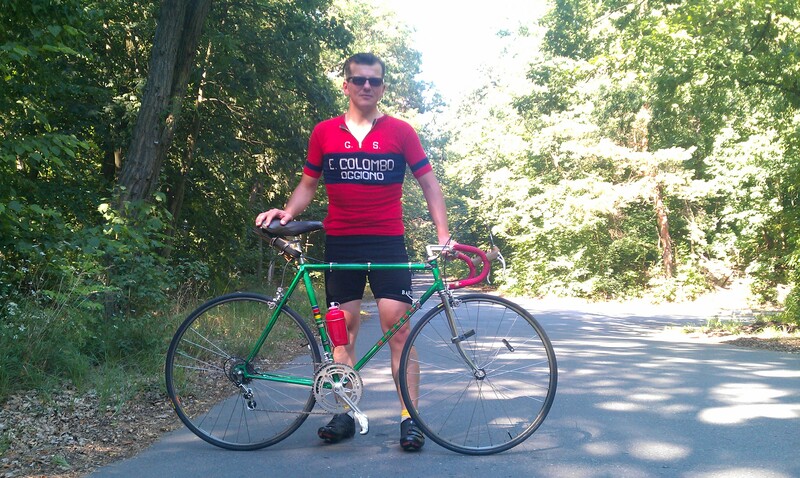 Thomas is working on this rare 1978 Elsner Roadbike in preparation for the Vintage International Classic in Killarney. The original heavy steel parts (cranks, rings, bottom bracket) have been removed and replaced with Campagnolo Nuovo Record parts. Bottom bracket is OMAS Titanium. Whelset Mavic GP4 with Campagnolo Nuovo Tipo hubs. The saddle is a much sought after Cinelli Unicanitor. Waiting to be fitted are CLB Professional brakes and levers . The only remaining original parts are headset (special measure), stem (Grünert), handlebar (Diamant) and seatpost (steel, 24mm). This is not your regular build and sounds like quite an eclectic mix of components. From what we have seen so far we suspect that this will be a definite contender in the Concours d’ Elegance.